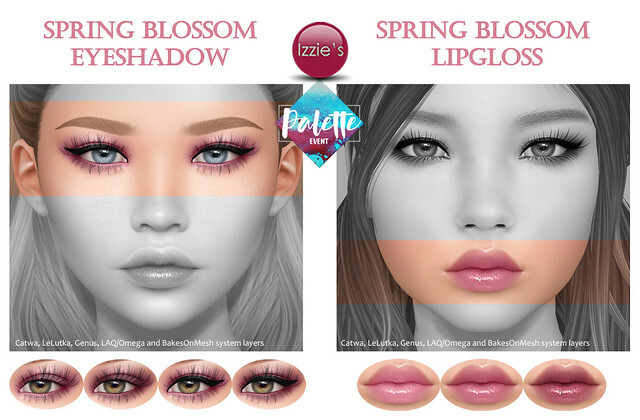 Izzie’s released a Lipgloss and an Eyeshadow set in spring blossom color for Catwa, LeLutka, Genus and LAQ/Omega + BakesOnMesh system layers at the mainstore for the new Palette event! Palette is a new monthly mainstore discount event where each round is themed after a different color. 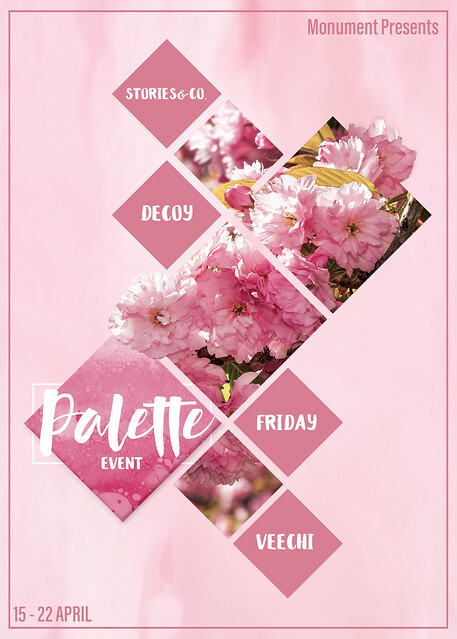 The theme for the first round of Palette is “SPRING BLOSSOM”. Participating designers will offer 1 or more items for 100 L$ or less for the duration of the event (April 15 – 22). More informations about the event here.